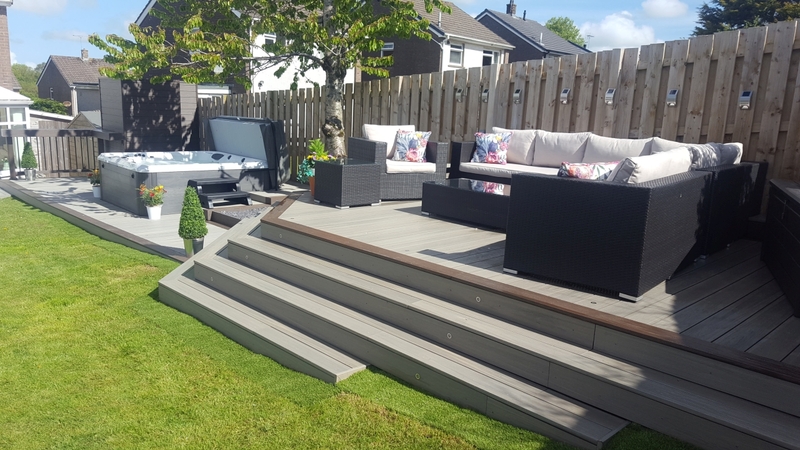 Decking Design is a small business based in Egremont, Cumbria. 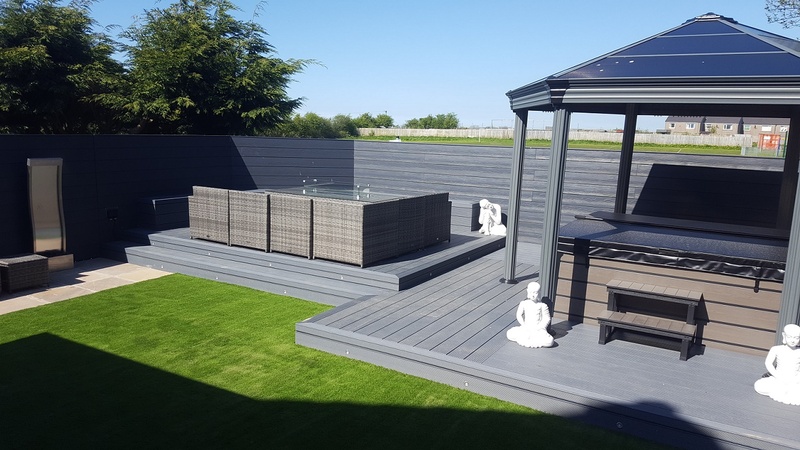 We offer our customers the very best in decking and artificial grass to improve their properties and provide maintenance free gardens. We have been trading for almost 5 years and are proud to offer our customers not only the best quality products, but also our excellent workmanship. Customer service is our number one priority, ensuring that we deliver top quality projects which exceed our customers expectations. We have consistently been given 5 star ratings from our customers, with many of our jobs coming from word of mouth recommendations. 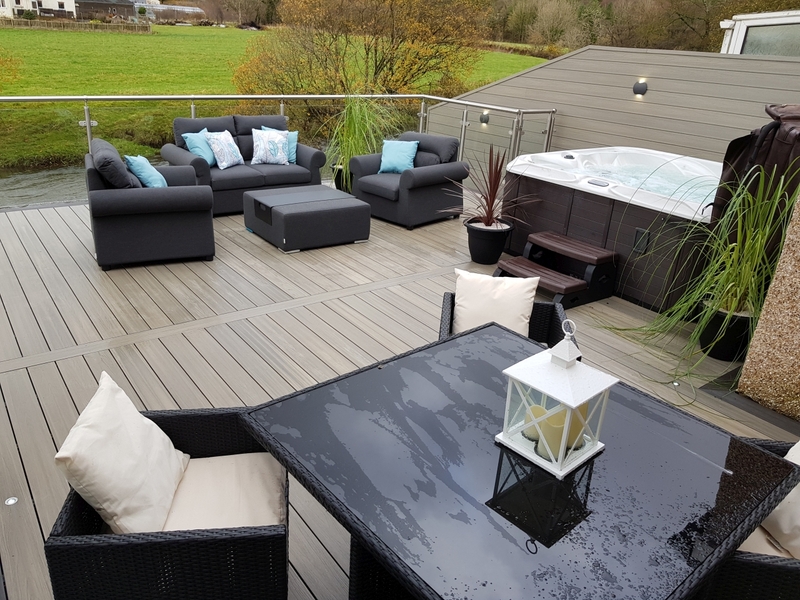 We love a challenge and always try to exceed our customers expectations, from extra space on a deck raised above the river to glittering stars to brighten up a garden wall! Please see the pictures below of a range of our recently completed projects. Or join us on Facebook @decking.design1 for more information and to read our customer reviews. Alternatively, you can use the contact form here on our website. Maintenance free and a range of stylish colours to choose from. Our composite deck is one of the best products on market. Our manufacturer uses patented composite technology and provides a comprehensive 25-year manufacturer’s warranty. We supply, and are approved installers, for a range of different manufacturers, to give our customers the ultimate choice range. The traditional, cost effective choice. 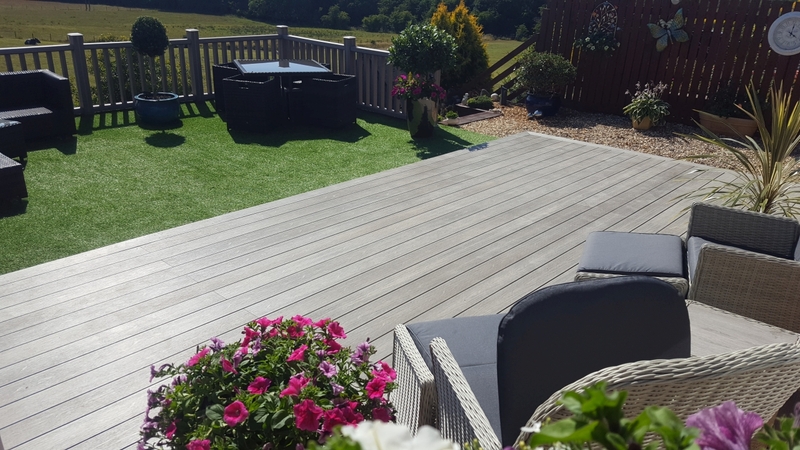 We support local suppliers and all wood in our timber decking and subframe is FSC certified, slow grown in sustainable forests and pressure treated as standard. A versatile and attractive option which is very low maintenance, ideal for static caravans. 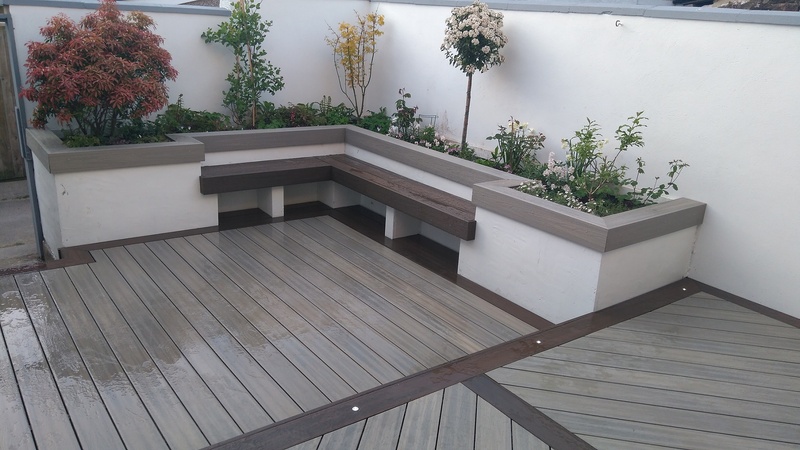 Our plastic decking is anti-slip and made from 87% recycled plastic. The robust galvanised subframe gives you piece of mind. It comes with a minimum 10-year manufacturer’s warranty. Our artificial grass is a high-quality product which is UV stabilised. 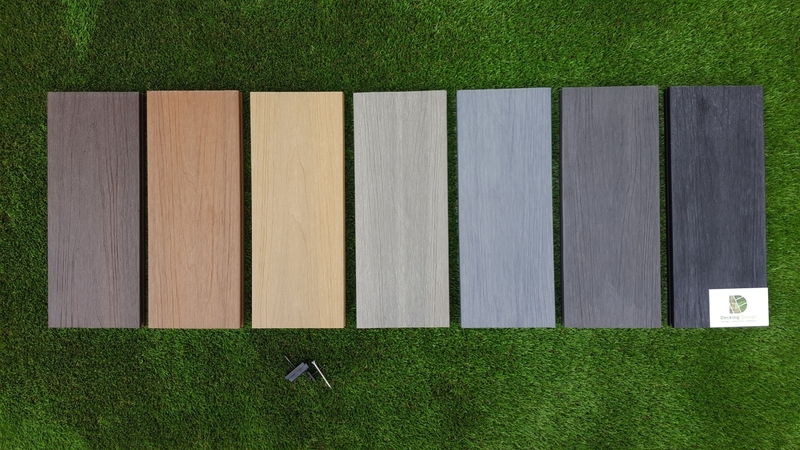 Our grass will keep colour all year long and comes with a minimum 10-year warranty. We take our responsibilities to our customers seriously, and as such we are fully trained, approved installers with our manufacturers range of artificial grass.